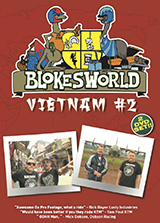 Vietnam Motorbike Tours have put together a genuinely unique tour package based around the ANZAC Day memorial service in Vietnam. Don't miss this chance to commemorate the courage and sacrifice of those who have served during periods of war and peace at this deeply moving ceremony. 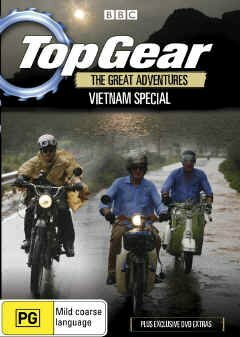 The memorial service is followed by an incredible self-ride motorcycle adventure, riding the very best of the real Vietnam, reminding us that memorial is not just about remembering the past, but also about moving forward! 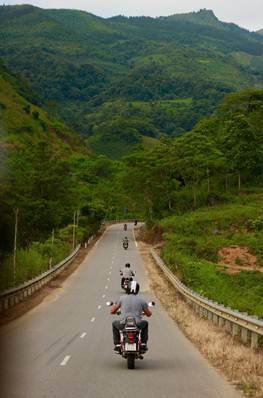 You will be touring through the stunning mountain tops of the Central Highlands and Ho Chi Minh Trail, reviewed as the best road touring in SouthEast Asia! With some of the curviest mountain roads you are ever likely to encounter, endless untouched jungle and culturally engaging remote villages, this really is a Rider’s Paradise! If you’re not into the typical tourist thing, then you’ll love this very special event... Step back in time as we pass through some of the most stunning country-life and scenery that this beautiful country has to offer. 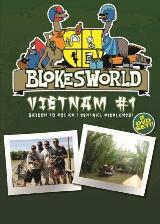 Friendly villagers will wave and greet us, as we venture deep and discover Vietnam like no other. GOOD MORNING VIETNAM !! For those up early, it’s a great time to check out the local markets and streets of HCMC. 9am: We jump aboard our VIP mini bus and head to The Tunnels of Cu Chi! 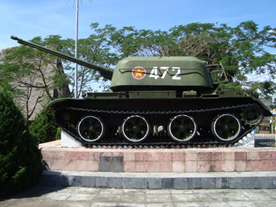 An immense network of connecting underground tunnels used throughout the American war, the 121km complex of tunnels at Cu Chi have been well preserved by the government of Vietnam. Here, you are welcome to take a look underground of the former base of operations for the Viet Cong. Above ground there is also a lot of historic national history to take in, and a shooting range where you can (for a fee) fire a number of assault rifles such as the M16 rifle, AK-47 and M60. Time for a good local lunch, then our return trip to HCMC (calling in at the War Museum along the way). 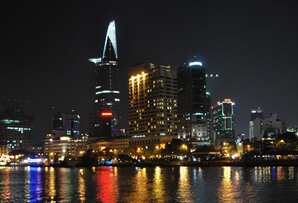 In the evening, you will then be free to check out the hustle and bustle of HCMC at night, which features a wide array of great restaurants and bars. 8am: Check-out from our hotel and transfer to the docks located on the mighty Mekong River. All aboard heading south to Vung Tau on a 1.5hr boat journey. 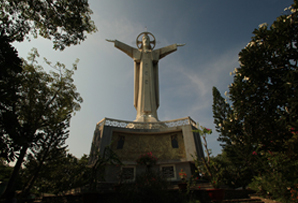 Vung Tau, once famed and remembered as one of the most popular in-country rest and recuperation (R&R) destinations throughout the American War, holds beautiful and peaceful beaches that offered a relaxing respite from the brutality of war just miles away. 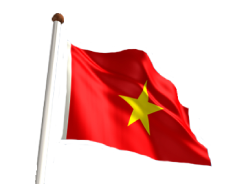 Vung Tau was used by the Americans, Australians, New Zealand, South Vietnamese and their allies as an R&R destination, but even the Viet Cong would go to the city for some rest and relaxation of their own! After our hotel check-in, we enjoy lunch and head across to visit the former Australian base camp of Nui Dat. At its peak, the base at Nui Dat was home to some 5,000 Australian personnel. 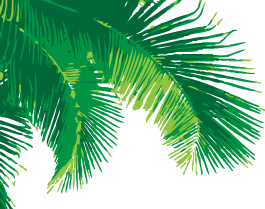 Returning to Vung Tau, it’ll be time for our own R&R, surrounded by the local cafes, bars and restaurants that line the beach front. Enjoy an evening sip at a local beach front bar! 4am: We will head for Ba Ria to join the dawn service at the Long Tan. 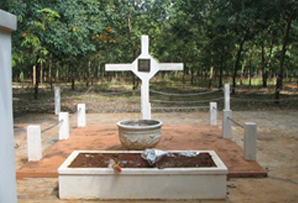 Service will commence at approximately 5.15am, when we will take in a very moving memorial at the Long Tan Cross. Following the service, we will return to our hotel for breakfast, check-out, then head off with a return boat Journey to HCMC. Lunch will be followed by a 40 minute flight up to beautiful Nha Trang. 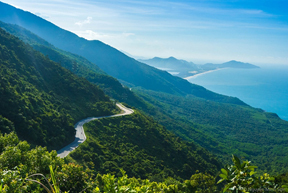 Vietnam's most famous seaside resort town is famed for its stunning coastline and great year-round weather with an abundance of fine dining, cafes and bars. 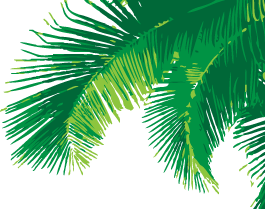 Flights and transfers will have us arriving at our hotel around 5pm. Your evening will be free, or you can join us at our preferred super-tasty restaurant! Great food and super cold beers..! 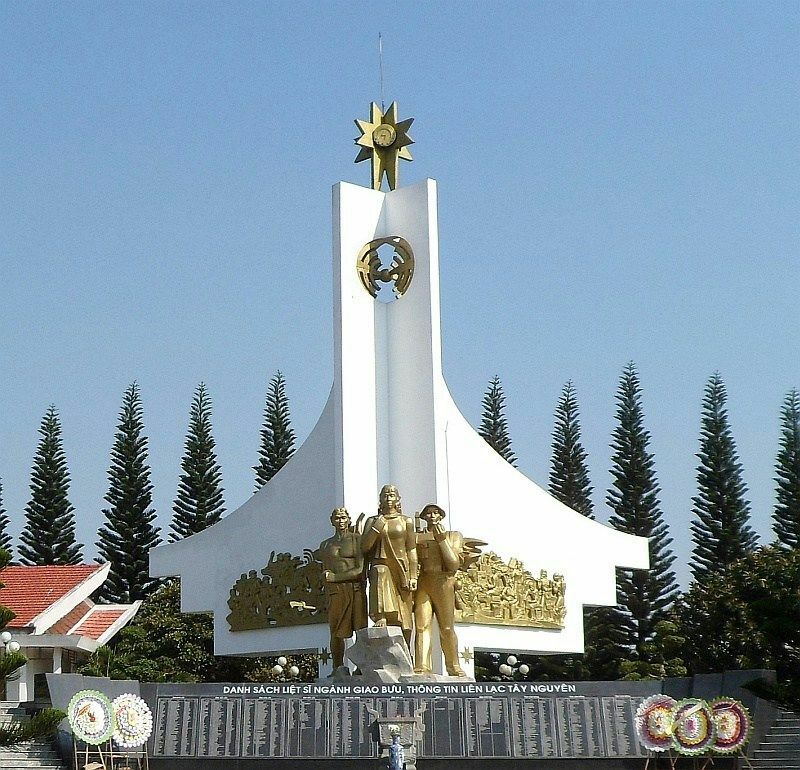 Special ANZAC bonus: During today’s ride, we will take you for a small visit to a local school, where you will find out what it means to live as a local in the real Vietnam. Here at VMT, we try to do anything we can to support the locals, so we will be gifting some supplies whilst we are there. If you’d like to help by donating any small items, you have a special opportunity here to do so. 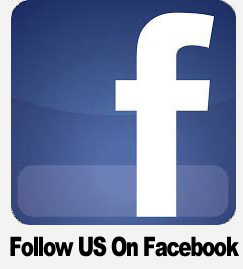 We can assure you that they’ll go a long way and will be much appreciated..! 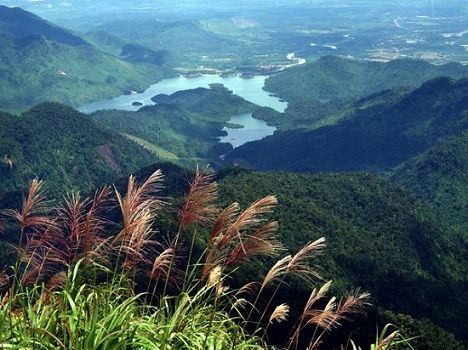 Venturing deep and entering the legendary Ho Chi Minh Trail, we will show you the famed supply route that carves through the most remote mountain jungles of Vietnam. 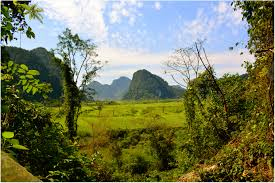 Used by the Viet Cong to send troops and supplies from North to South throughout the raging war, today the Ho Chi Minh trail is a joy for riders to behold. This incredible road is simply amazing! 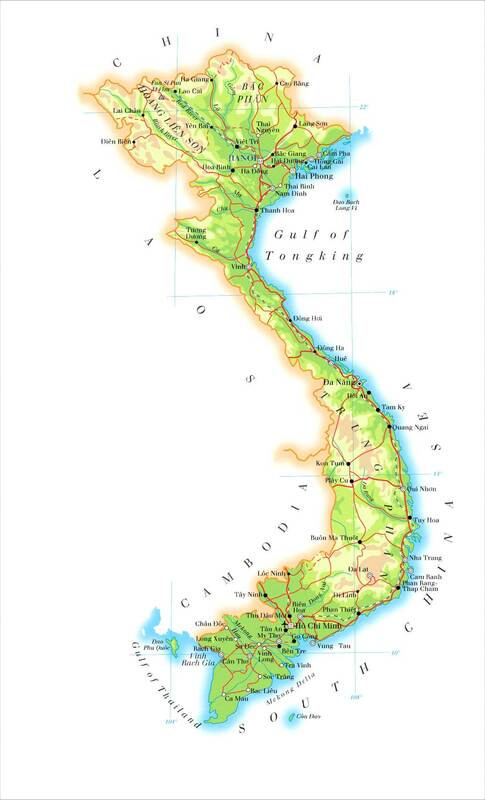 Over the coming days you will see Vietnam from a truly unique perspective. 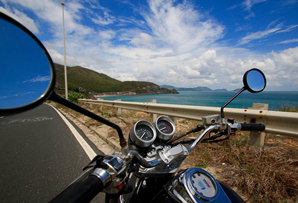 This is true motorcycling adventure! We arrive mid-afternoon at our local guest house which offers a great overnight stay. 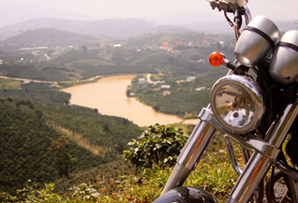 Enjoy some truly incredible riding as we travel along the infamous Ho Chi Minh Trail. History speaks to you here, through stunning jungle-covered mountains, incredible views, awesome riding, small remote villages and much more. Stopping in at the War Memorial in Dak, where there are Russian and Chinese-built tanks on display alongside a story of how the ethnic villages were caught up in the bloody battles. Some of the most extreme battles of the war took place here. As many of our riders state, they just can't believe the sheer beauty of these areas and the amazing roads which you simply have to see for yourself! Overnight we will stay at our Hotel in Kam Duc, featuring an in-house kitchen that cooks a some great meals. Plenty of cool drinks to be had, as always! 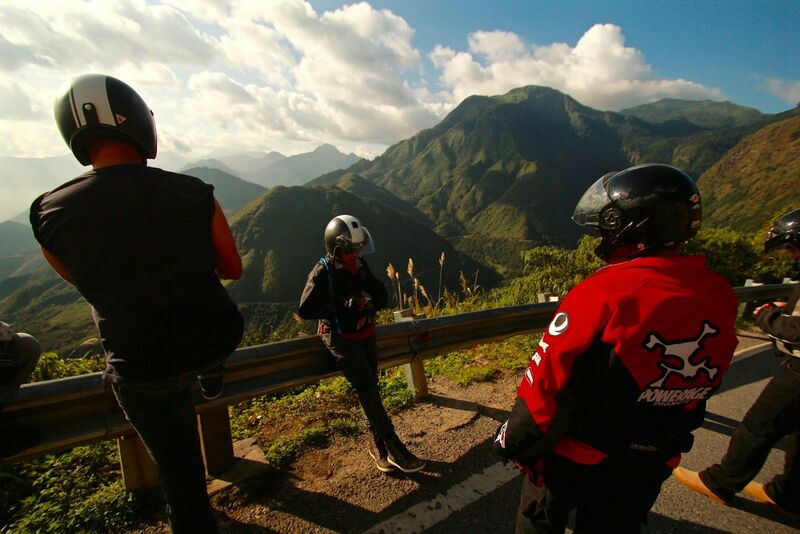 We roll out of Kam Duc and ride over the superb Bach Ma range, heading towards Aluoi. Fine riding indeed along this section of road that’s not only in great shape, but is also one of the most incredible roads of Asia. Later in the day, we encounter the site of hill 937 -better known as Hamburger Hill. 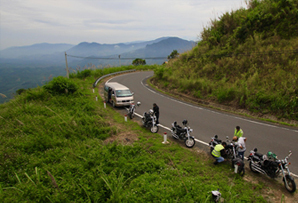 Riding these mountain passes, which stretch skyward with twists and turns, reveals; giant views over wide and wild jungle valleys, deep ravines, mist-swept mountains and hairpin bends as the road snakes its way under lush green mountain jungle canopies. Sections of road wisp in and out of misty cloud, passing a few remote army outpost buildings and forestry protection huts. We enjoy our picnic lunch at the entrance to one of two tunnels we ride through. Making it’s way through the endless twists and turns, the road eventually drops down into rich farming valleys and a landscape dotted with small rural villages. We will, soon after, arrive at the small town of Aluoi, where we can rest at our Home-stay with private rooms and bathrooms, featuring a finely cooked home dinner. 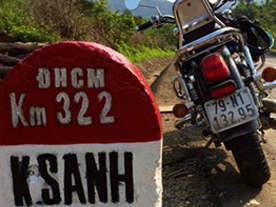 l always have the Cold-Chisel song ‘Khe Sanh’ humming through my mind on the road heading towards Khe Sanh... The twisting roads that follow Da Krong River hold views across outstanding scenery. 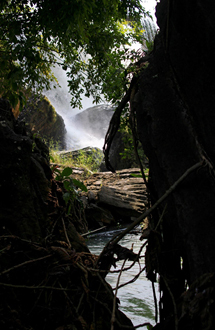 Villagers can be seen taking care of the day’s washing in the river, this place is amazing! I really feel alive, my veins are always filled with ADVENTURE here! Old traditional handmade village huts line the roadside, making this a grand day on so many levels. 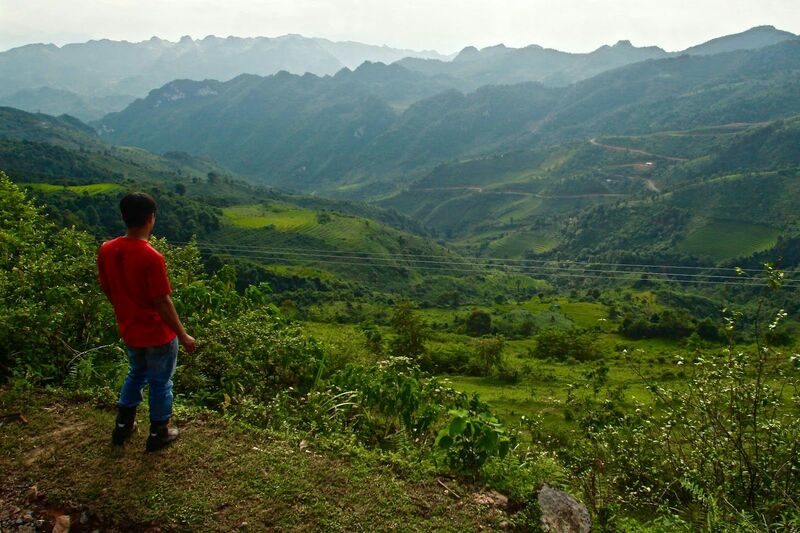 Vietnam touches your heart in so many ways, rich in history, deep in culture. Feeling at one with my trusty iron horse. Sharing the experience with the VMT crew and like-minded riders is something that will stay deep with you as one your most incredible adventures. 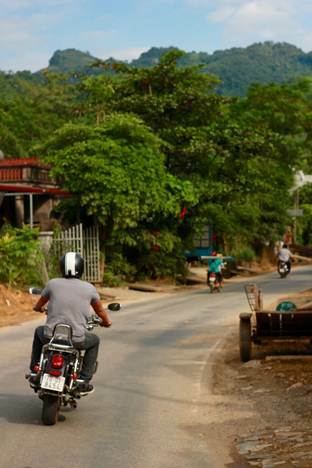 This isolated and rarely used section of road passes through majestic scenery close to the Laos border. We arrive in Khe Sanh and pay a visit to the old combat airbase, along with an interesting stop at a scrap metal yard which still to this day receives defused bombs. In the centre of town stands a huge monument carved from stone which celebrates the bravery of the North. A good spot to pay your respects to the men and women of both armies. Overnight hotel stay with great food, splitting the bill on a hearty meal that will cost just a few dollars. Rest up, because tomorrow we venture onto the Western Ho Chi Minh Road. This closed section of road is off the hook in sheer beauty! Today we enter the Western Ho Chi Minh Road. This incredible road twists and winds its way through spectacular limestone mountains covered with deep forests, river valleys, roadside waterfalls and crystal clear rivers for swimming. 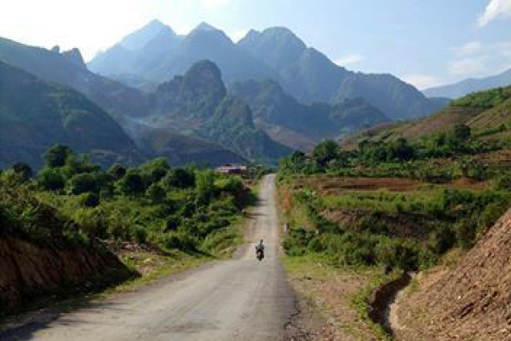 We ride towards Phong Nha through Ke Bang National Park, which contains the oldest karst mountains in Asia. Formed approximately 400 million years ago, the mountains are riddled with hundreds of cave systems and the area is also home to the world's biggest cave - Song Doong Cave - discovered in 2009. Just when you think this ride cannot get any better, today is huge. The empty road resembles a race track as the landscape unfolds on this road trip of a lifetime. Soaring through twist-filled limestone mountains that seem to go on forever, what more could a rider want? VMT crew and support comes into its own here, as these areas are remote and our handy support van is filled with everything needed for such journeys. This is the ultimate riders adventure! We arrive late in the day into the small town of Phong Nha, with our hotel overlooking the Son River. Enjoy the day to relax! Stroll through the quaint town and get a chance to explore some of the world's most beautiful caves. 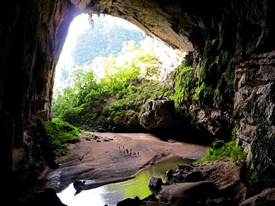 Take a boat journey up river and disappear underground into Phong Nha Cave. This is an outstanding cave and one of the biggest in Vietnam, filled with stunning stalactites and stalagmites. After a fantastic lunch back at our hotel, the afternoon offers a ride over to Paradise cave, the second largest in Vietnam and considered the most beautiful of all. This fairly challenging walk is well-rewarded for its sheer beauty. This spectacular cave, first discovered in 2005, has a length of 31km and looks like a landscape painting! There are a series of white crystal stalactites resembling glass pillars and many other formations. Our journey today has us winding down towards the Vietnamese Demilitarised Zone (DMZ), established as a dividing line between the North and South. We then head across and pay a visit to the Vinh Moc Tunnels, The Underground City. Built to shelter people from intense bombing, these complex tunnels included wells, kitchens, rooms for each family and spaces for healthcare. Around 60 families lived in the tunnels and as many as 17 children were born inside the tunnels. From here we will ride for around 2hrs to reach Hue, located on the banks of the Perfume River. 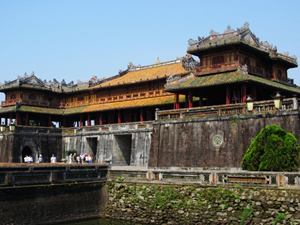 Hue was the national capital until 1945 and is well known for its historic monuments, which have earned it a place in the UNESCO list of World Heritage Sites. Check into our hotel, with each room tastefully decorated with traditional Vietnamese antiques and great views of the surrounding city.